The 1,028 items on our to-do lists can be put into those broad categories. 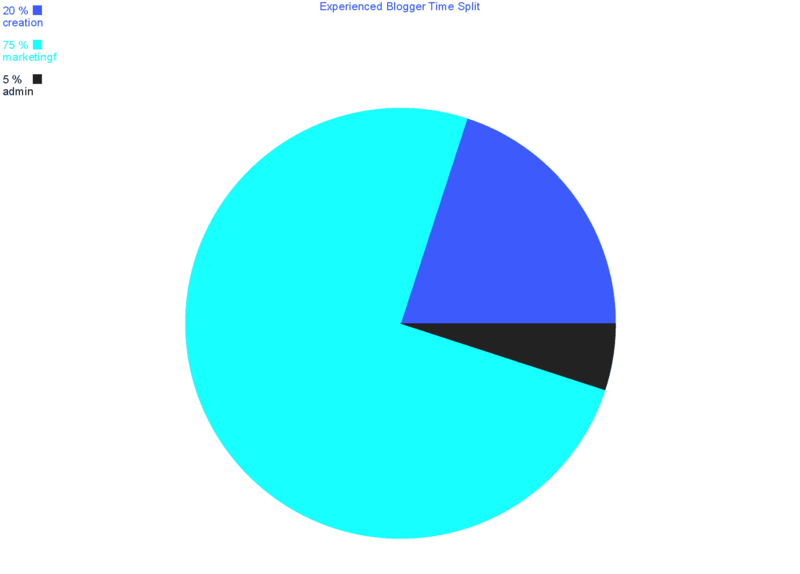 How should we split up our time working–so as to MAX out our blog growth potential? As new bloggers? As experienced bloggers? Where should we focus our time and energy and resources? 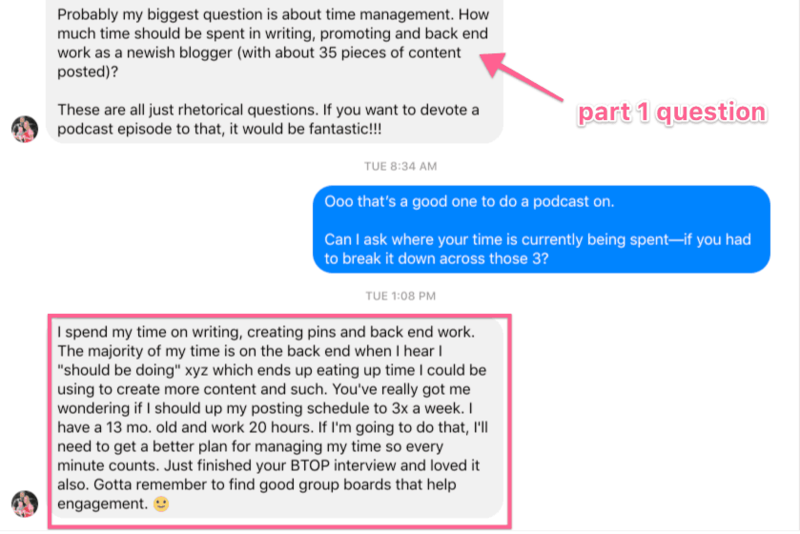 With 35 posts–how should she be spending her time? Note: what follows is absolutely my opinion. Other blogging influencers might tell you something completely different. You should always judge for yourself and find what works for you! If you have more than 100 total pieces of content published–you automatically fall under this category. If you have less than 100 total pieces of content but feel you’re ready–use your best judgment. If this time split sounds stupid or unreasonable, here’s my rationale. If you’ve been blogging a while have a body of work built up–there is often times NO reason to publish new content. Every blog post you write has the POTENTIAL to be evergreen. Updated, revamped, and republished. Experienced bloggers have the option to revamp and repurpose old, existing content. In fact, not only do they have that option, but it is Pete’s personal opinion that they SHOULD make this “repurposing” cycle a larger and larger part of their content strategy. Robert at The College Investor (who has hundreds of old posts) publishes 5x a week. Tu and Thurs = old content, revamped. Brennan Dunn has a year-long email funnel that walks new subscribers through all of his best content. So–if you have loads of content already–you can easily update and revamp it–and re-release! This takes a fraction of the time as opposed to starting from scratch. There’s another benefit to NOT being a newbie–you’ve likely already started to solidify a marketing strategy. Once you have a body of content–my semi-pro opinion would be to focus more on marketing. What about 5% of the time spent on admin? Like, wtf? It’d be easy to say “At this point, you should hire your first virtual assistant!” or something–but I don’t think that’s entirely doable for many bloggers. Experienced bloggers CAN start to systemize and create scalable processes for engaging with and managing their community (email, FB groups, etc). Rather than respond to every single question–write a post about it (example: this post), or do a Facebook live. Then you can simply reference the post anytime you get the question again. That, and you’ll hopefully start to get better at creating your own systems to save time in email, responding to comments, working on back-end website stuff. This stuff takes a TON of time as a newer blogger just starting to get traction. First–there’s no magic number to go from “beginner” to “experienced” blogger. It’s different for everybody. If you don’t have a ton of “passive” traffic–your traffic tends to die off a few days after each new post, etc–or you don’t have a lot of old content to work with (less than 50 posts)–you qualify for the following recommendations. Why it’s vital for new bloggers to spend MOST of their time on the creation process. with no following, your content IS YOUR BEST MARKETING. There’s a reason I can sit down and record a decent podcast episode in one take, and publish it 10 minutes later–I’ve done it a lot (and I’m lazy). The more time you can spend focusing on the creation process–the quicker you’ll find your voice, and the more efficient you’ll get at creating. When you have massive organic traffic, 30,000 email subscribers, etc–you can hit publish, email your list–and watch the traffic roll in. You can spend all the time in the WORLD on various marketing strategies only to see small ROI. 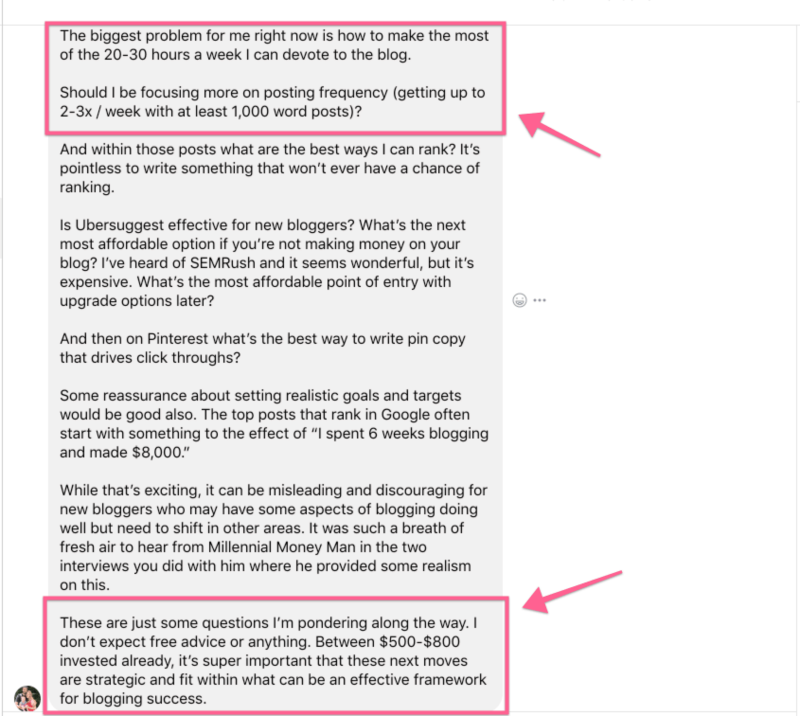 The biggest marketing ROI for new bloggers? Really, really, really remarkable and useful content. Let’s talk about things that matter–and stuff that doesn’t. There are tons of bloggers who have this stuff–and as a new blogger, you’re competing with all of them! (for attention btw). Until you have a body of work–spend your time obsessing over producing quality content consistently. Even in month zero–there are definitely “must-have” tools. The trick is learning when enough is enough–for now. A new blogger shouldn’t spend hours on hours learning 15+ WordPress plugins. If you’d like a run-down on my tried-and-tested blogging tools, read this guide. I believe with all my heart that you should spend a LARGE majority of your time on the creation process. making engaging and interest posts that people talk about. This will grow your following more than tricks or tactics for more Pinterest followers or nit-picky SEO optimization. You’ll get better at that stuff in time. If you have a nice body of work built up, and have a decent flow or passive/organic traffic–it’s time to explore more advanced marketing tactics. Go deep on technical SEO. Use a paid tool to track your posts across the first few pages of Google–then update, revamp, and re-release. Go back through your Pinterest boards and clean up crappy or outdated content. Focus on influencer outreach and use your time finding strategic ways to grow your blog and business. Great read for all bloggers, seasoned and unseasoned! I’ve definitely fallen into the traps of trying to market my content without having a good amount. And I like the focus on creating evergreen content. I think it’s ok to push out some personal writing for what bloggers deal with at the current moment even if it’s not evergreen, you know for your audience to see how you’re doing and what not. Plus you get the experience. Maybe there’s a ratio between evergreen and non-evergreen content bloggers should aim for? 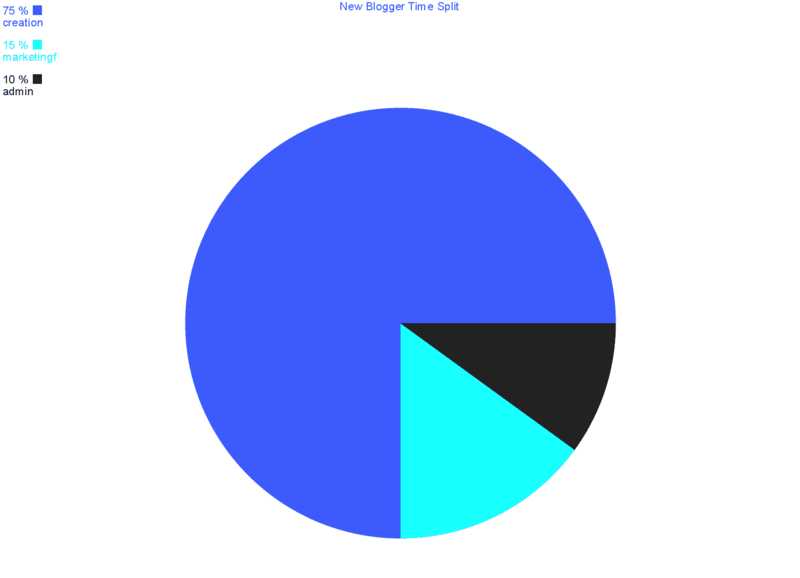 Not positive, but I’d wager close to 60% new content, 40% old–unless you’re just not CALLED to create new stuff. Rosemarie Groner hasn’t written a blog post in 9 months. 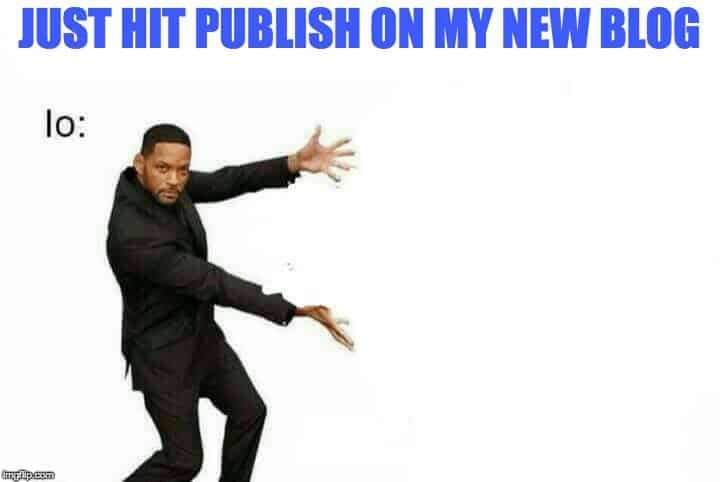 Bryan Harris publishes like, 2 times a year. To each their own! For sure to each their own…thanks for your take! Thanks, I needed this post. I think I’ve been getting distracted with other things instead of content creation, which then makes me feel overwhelmed because I’ve spent all my time working on stupid stuff and still need to write my post. Great article, Pete! I often ask this question too when hanging out with blogger-types so I’m glad you tackled it as a post. As a brand new blogger (I think I have 3 posts up) this is exactly what I need to hear. It’s easy to get shiny object syndrome and want to create the perfect pinterest pin, or write an article I can use on Facebook to generate traffic and affiliate revenue, etc. I have very little time to spend on my blog, so I am focusing on posting once per week. Sounds like until I have at least 30-50 posts (6+ months away at my current pace), it’s not even worth bothering to do a lot of “strategic” marketing. Keep learning and experimenting–but my *opinion* is that all that is SECONDARY to focusing on content. Truly remarkable content (whatever the hell that actually looks like) goes a long way! I’m so glad this resonates with so many other bloggers! Thank you for writing this fantastic post! I will let you know how my progress goes, Pete. I’m thinking of also tracking my hours (without a crazy process) but just being more mindful with how I spend my time. I’m a big fan of your work. Thank you again!! No, thank you for the blog content! Ha!